Be sure to check out shows coming from our local theater friends! The wonderful Mary Poppins Team! Have been singing most of my life in bands, group, choirs and acting/singing with the Players for the past 25 years. Over the years I have had supporting roles and in the chorus with some of my favorite roles: Charlie in the Music Man, Gladhand in Westside Story and Uncle Henry in the Wizard of OZ to name a few. I have produced over 50 spring and fall shows for the Players and currently the Chair of the Players Board of Directors. I really enjoy singing and acting but most of all I love doing community theatre and giving back to the Community. I would like to thank my family for all their sacrifices, the amazing cast/crew and to Natalie Dorsett for being such a great Director. 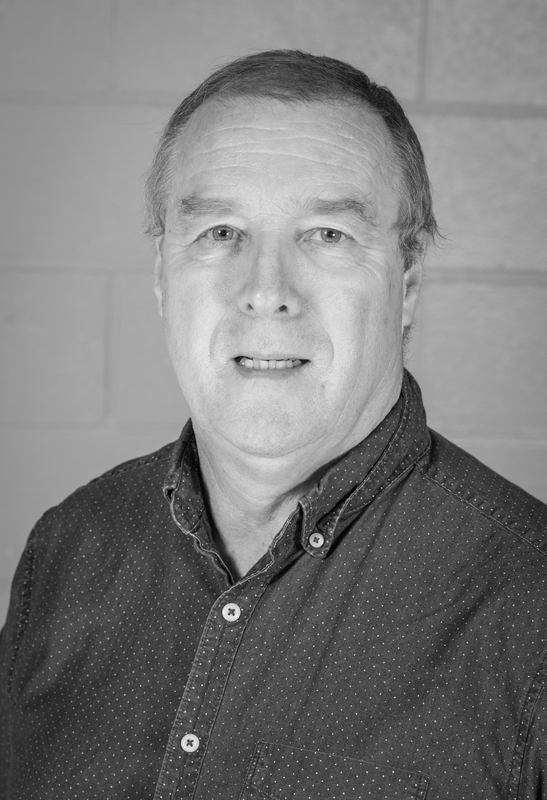 Jim has been involved with theatre since the age of 6 and has gone gangbusters locally since 2012 ramping up to as many as 4 shows at the same time. 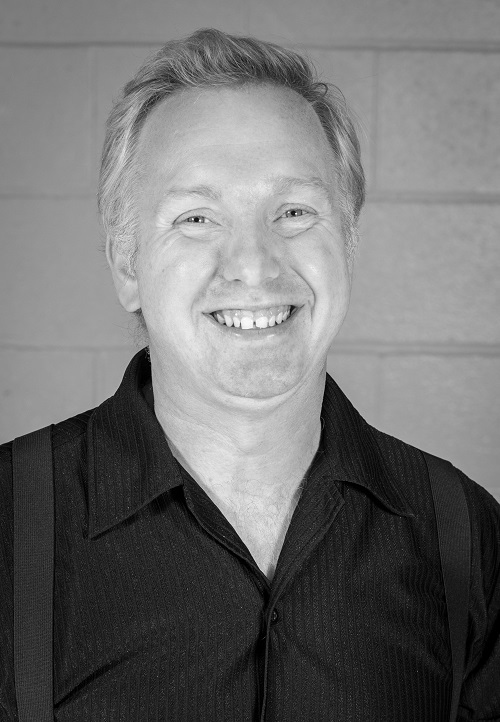 He has performed with The Sault Opera Society, Musical Theatre Guild (Sault Ste. Marie), Garden City Productions (St. Catharines), and locally The Peterborough Theatre Guild, St. James Players, and Motley Collective. He enjoys chorus work but doesn't shy away from larger characters such as Dr Scott in "Rocky Horror"and Henry in "Criminals in Love" in recent years. He has done everything in theatre from acting, singing, dancing, makeup, costumes, props, stage managing, set crew, lighting, directing and now finally for the first time producing. He was proud as punch to be asked to produce Mary Poppins and jumped at the chance and is even happier to be good enough to share the stage with this hugely talented cast that is bringing the magic of Mary Poppins to life in Peterborough! 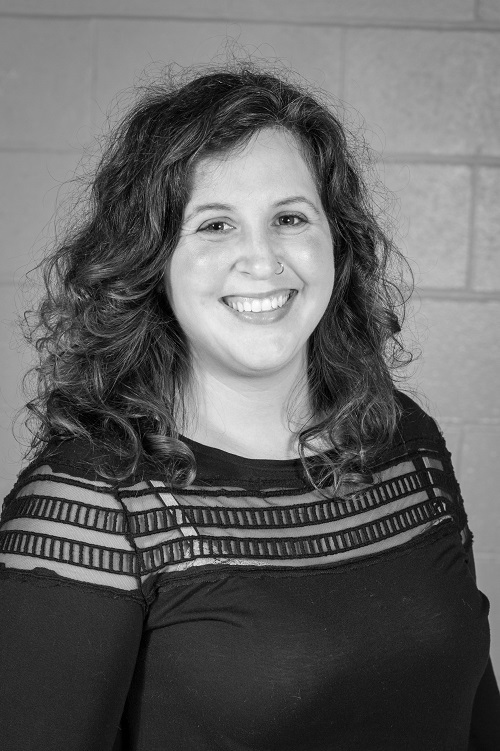 Natalie has been part of community theatre since the age of 7. She has enjoyed performing with The Peterborough Theatre Guild, St James Player's and Showplace Players. Previous roles include Betty - "White Chritmas" Bombalarina- "Cats" Ulla - " The Producers. This year Natalie received her first Eastern Ontario Drama League nomination for Best Actress for her role in " A Life Before". This is Natalie's first time directing a show of this size and has enjoyed every moment. Natalie wants to thank her husband, daughter and family and friends for allowing her to fully immerse herself in Mary Poppins for the past year. Natalie would also like to thank all the support of the local arts community in Peterborough. 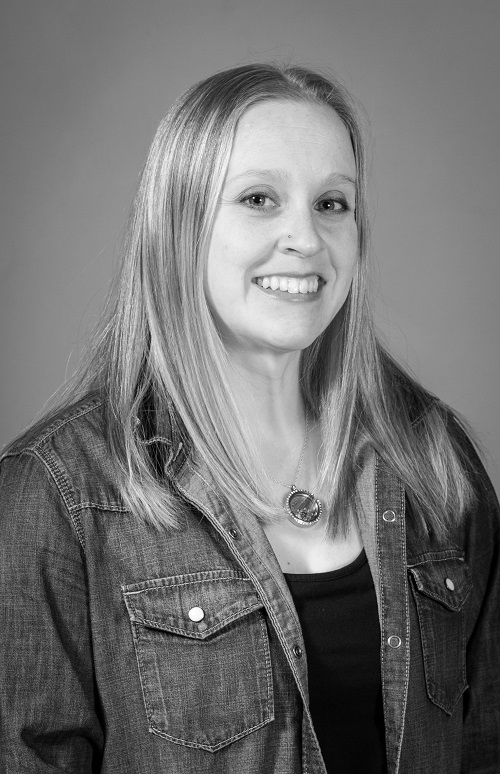 Melissa, Artistic Director of Revolutions Dance Studio has been choreographing for community theatre since 2011. Some shows include White Christmas, Cats, The Producers, Wizard of Oz and The Marvellous Wonderettes. 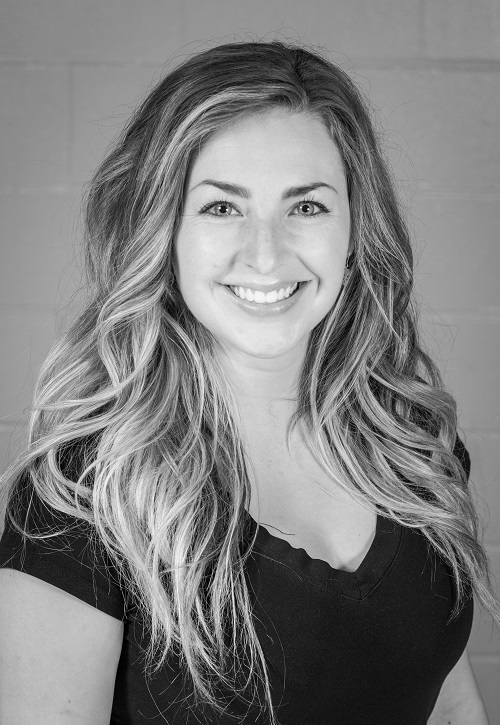 After graduating from George Brown College (Commercial Dance Studies) Melissa returned to Peterborough to teach dance. A few years later she opened her own studio and is now in her seventh season. Melissa has loved working on Mary Poppins and has been so impressed with the casts dedication and hard work. She would like to thank Natalie for giving her the opportunity to be part of this amazing production! Jordan has been dancing since the age of 17 when he attended PCVS. He went on to train with Melissa Earle at Revolutions and had the opportunity to perform on Huntington Beach in California with PCVS. He has also trained professionally at George Brown College. He had taken a couple years off from the arts to focus on his health. And is jumping back into the community arts scene. Jordan enjoys being on stage and performing. Allowing for others to enjoy the show and showcase his talent. After watching Mary Poppins when Jordan was young, he knew this would be a perfect fit. Loving the movie and now being able to perform in the live production of it. Shelley Moody’s theatre background started by chance when she was asked to be Peter Pan, she had a pixie cut and wasn’t afraid of heights. 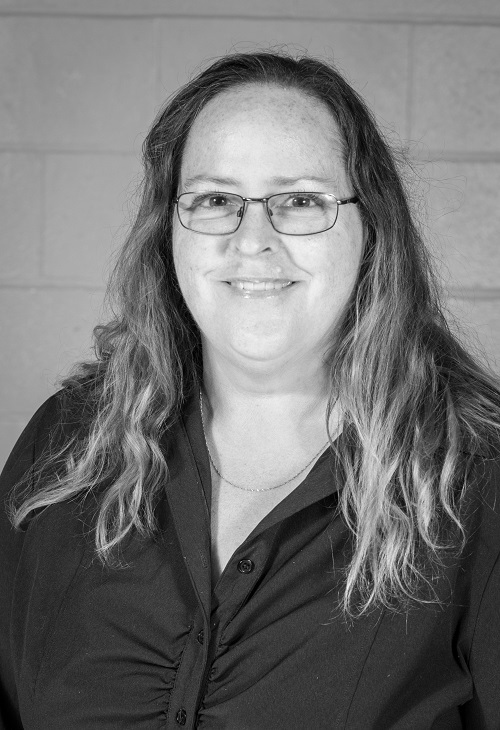 She has taken on many rules in community theatre from stage managing , producing, prop, hair and makeup and even being on stage. 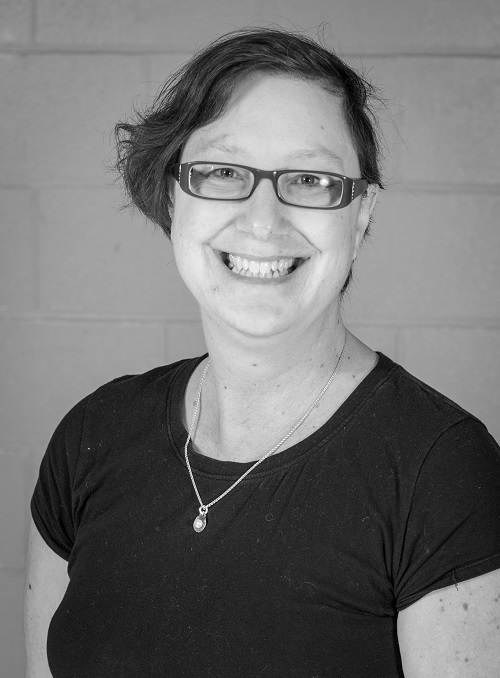 Shelley is thrilled to be working with St. James Theatre again and would like to thank her family for supporting her in all the new adventures she takes on. She hopes you enjoy the show as much as she has! For Barbara theatre is a family affair. 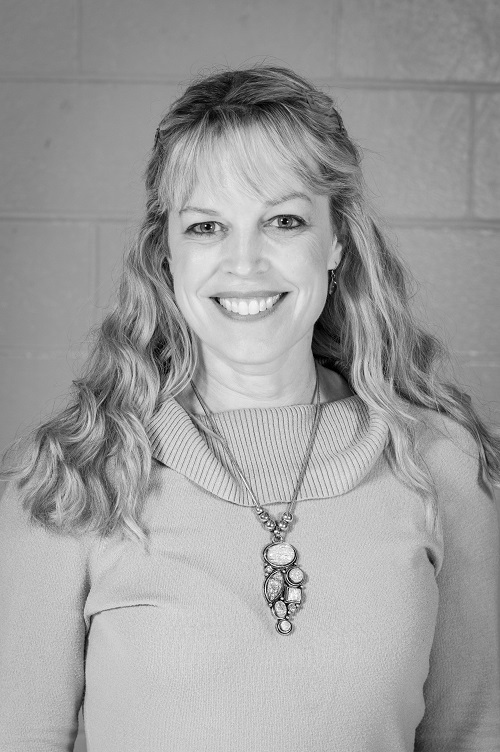 Along with her husband and son Barbara has been involved in community theatre for the past 4 years both on stage and back stage. Barbara has been the stage manager for The Laramie Project and played Olivine in Les Belles-Soeurs with The Motley Collective; stage manager of 12 Angry Jurors with The Theatre Guild; stage manager of Pied Piper and Princess Whatshername with the St James Players and most recently stage manager of the very successful Evil Dead the Musical with Killer Tree Productions. Barbara is also on the board of the St James Players as volunteer coordinator. Although she enjoyed being on stage, being behind the scenes is her true passion. Working on the details to put together a show and watching it come to life on stage fills her with pride and satisfaction. 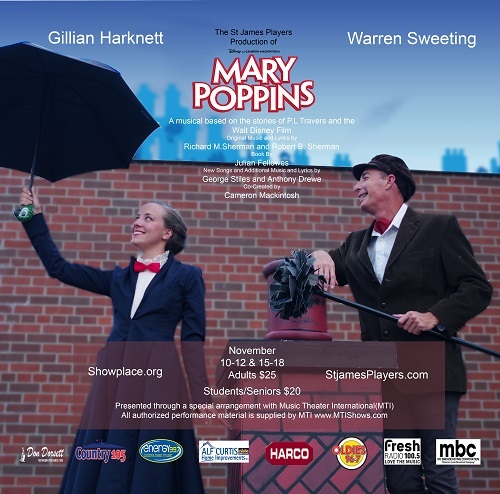 Barbara is looking forward to having a supercalifragilisticexpialidocious time with Mary Poppins! 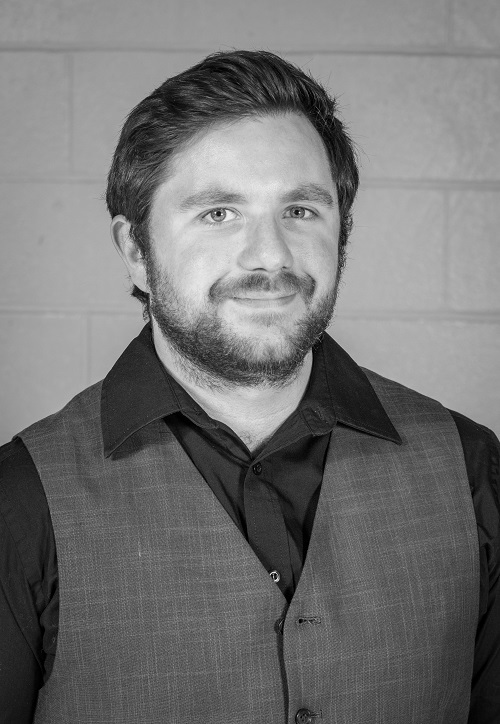 Dustin has been involved in Peterborough music and theatre communities for over 10 years. 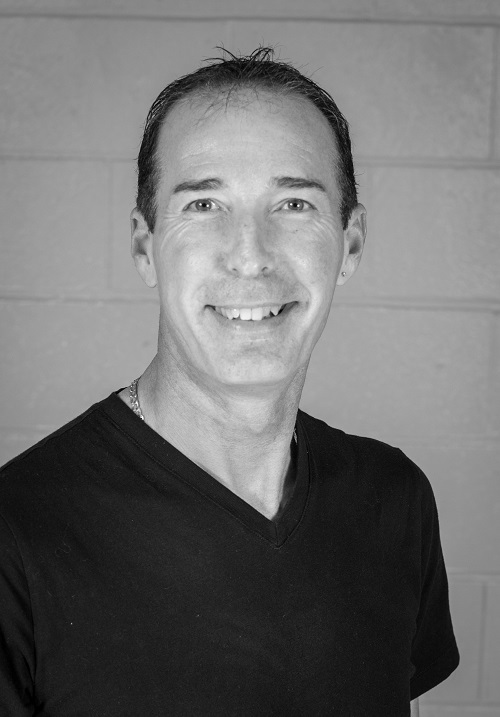 Originally from Bancroft, he has played in the pit bands of “The Wiz” and “Crazy for You.” Since coming to Peterborough, he has played in the pits for “Seusical the Musical” (PTG) and was most recently the Musical Director for “The Marvellous Wonderettes” (PTG). “Mary Poppins” is Dustin’s first production with St. James Player’s. 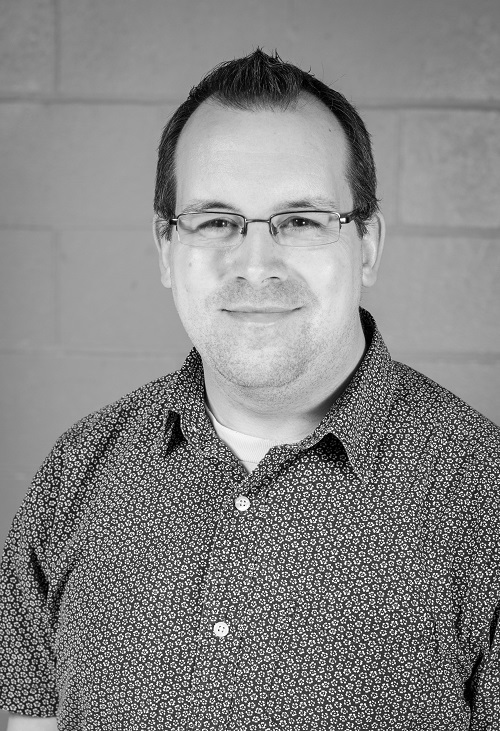 In the community, Dustin is the accompanist for the Peterborough Children’s Chorus and the Peterborough Pop Ensemble as well as the Music Director for Northminster United Church. Jen Nugent has been an avid performer since the age of seven. Whether acting, singing, or dancing, Jen has always been comfortable in the spotlight, and has fond memories of her experiences in high school musical theatre, including her favourite role as Lucy in You’re A Good Man, Charlie Brown. 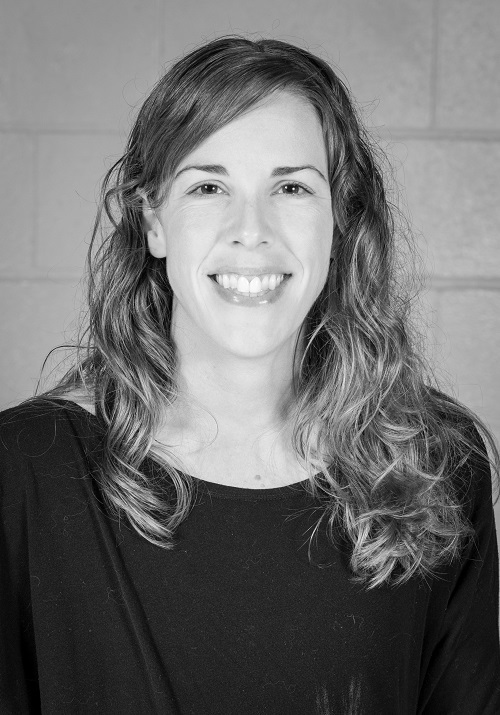 As a teacher, Jen has spent many years writing and directing shows for secondary students, and has fueled her passion for the arts into a not-for-profit theatre company – Enter Stage Right – operating in the former PCVS Auditorium. 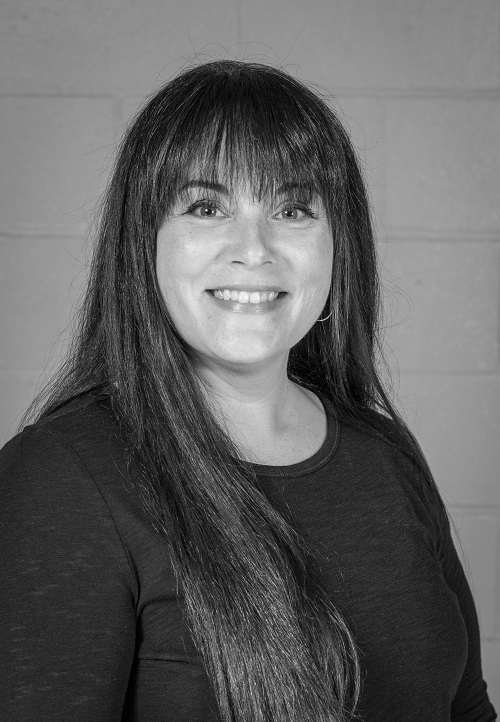 Jen is thankful to St. James for giving her the opportunity to return to the stage, having performed as part of the chorus in The Producers and The Wizard of Oz previous to this year. Extra special thanks are sent to her mother, who supported her throughout her additional role as costumer for Mary Poppins. She hopes you are swept away by the magic about to unfold on stage tonight! This is Cassidy's third time onstage, having been in the St James Players production of The Producers, as well as the local rendition of The Nutcracker. 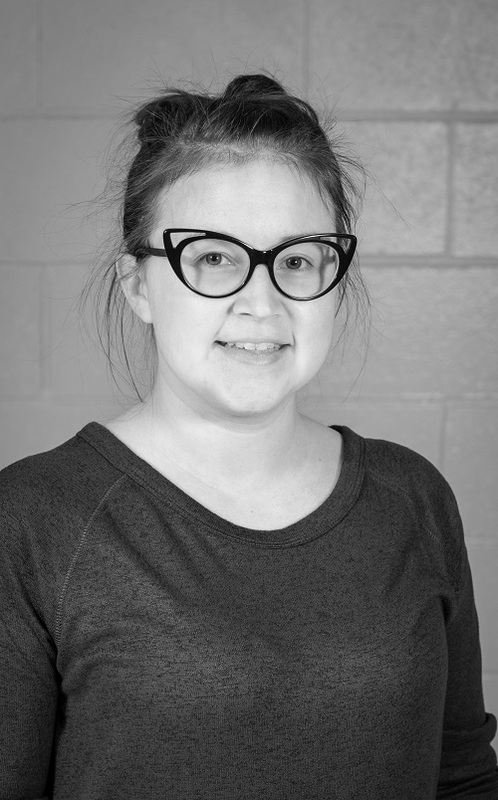 Most of her theatre experience, however, has beenbackstage as part of the hair and makeup crew, having done nine shows to date, including Heathers, The Wizard of Oz, and Dracula. This year she was the head of hair, makeup, and costuming for the one act show at the Peterborough Theatre Guild, Parents Night. Cindy started in theatre over 30 years ago in Toronto. 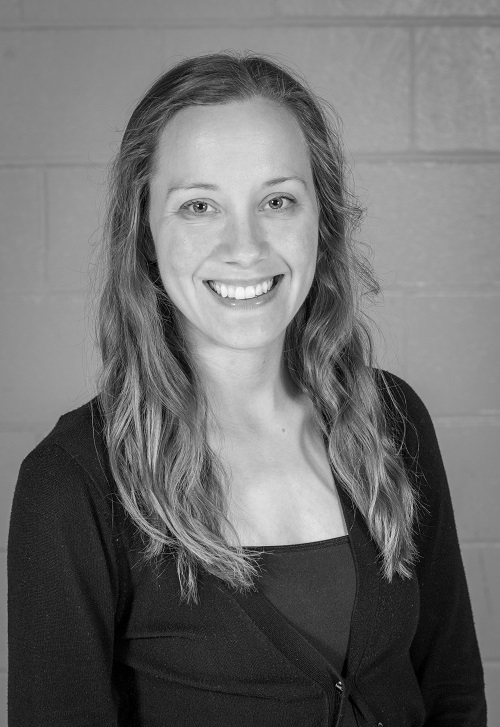 She attended Wexford CI for the arts and has had the privilege to work with some amazing performers! 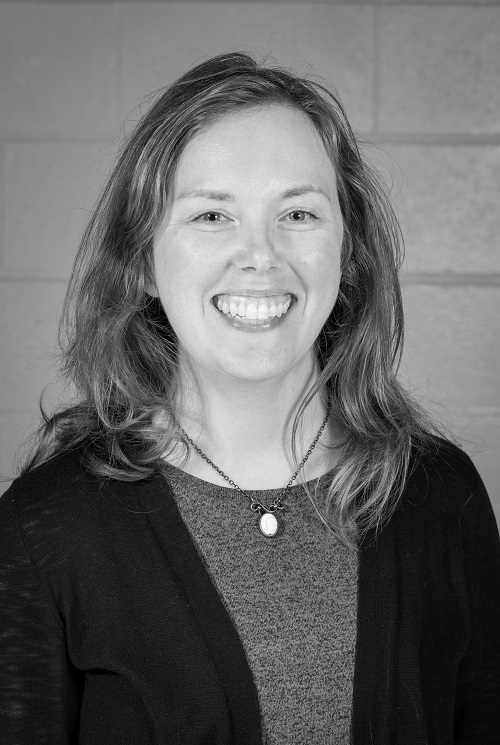 She's worked with such companies as PTG, Curtain Call Players, and Cabbagetown theatre. 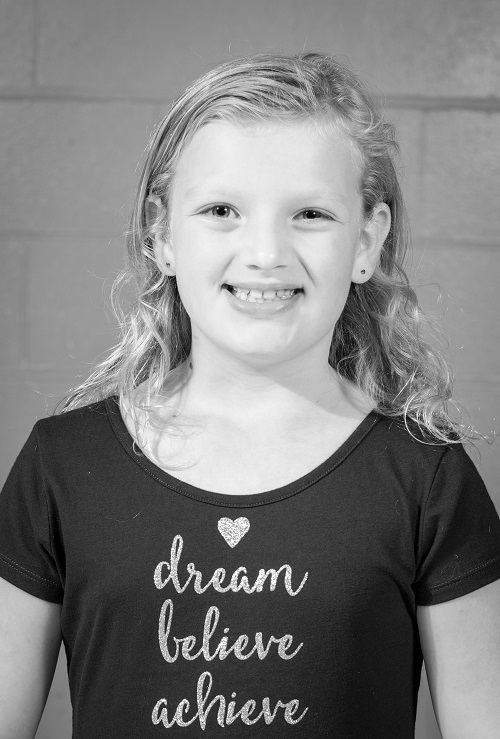 After a ten year hiatus from musical theatre she's excited to be back at it again, and with her favorite performer of all, her daughter Mairi in their first show with St. James Players! Elizabeth has been in the Peterborough theater community for the last 12 years. She has filled roles both on and off stage for all kinds of productions. She has had a blast designing Mary Poppins. 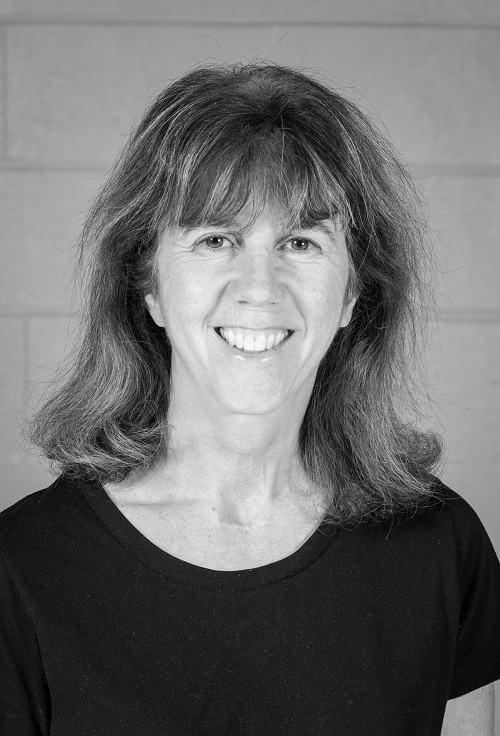 Elizabeth has been a dancer and choreographer for 20 years. She will soon be taking on the role of director for the PTG’s presentation of The Addams Family. She is so glad you have chosen to join us tonight, Enjoy the show! 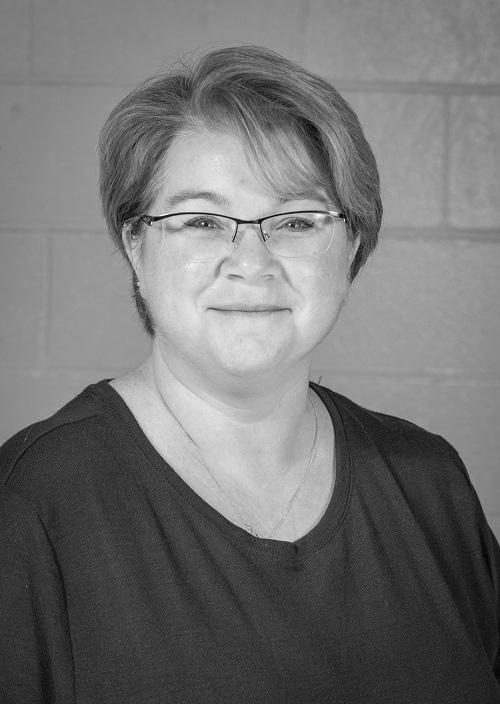 Sarah has been apart of various St James Players productions for the past 25 years. She has enjoyed onstage and back stage roles during this time. 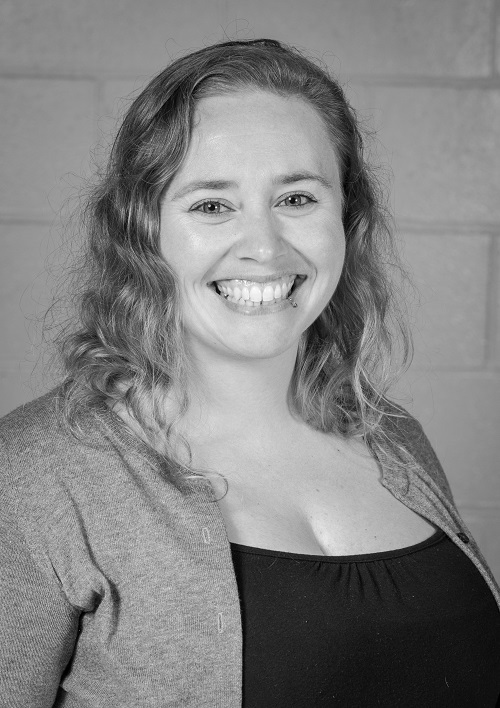 Sarah has enjoyed directing, costume designing and stage managing throughout her years in local theatre. After a brief hiatus to raise her 2 children, Sarah is excited ri be back with her players family. Sarah would like to thank Natalie for this great opportunity to be apart of an excellent show with an amazing cast and crew. Michelle was introduced to live theatre in 1987 when St James Player's put on South Pacific. 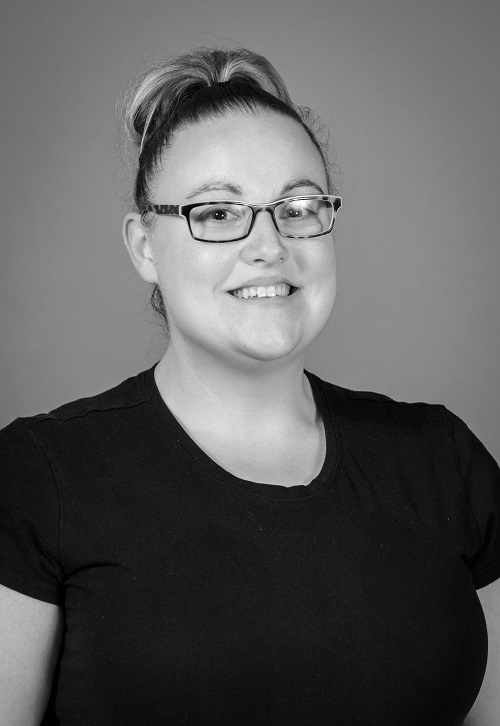 Since then, Michelle has worked on several shows backstage in many areas including assistant stage managing, hair design and stylist and props. Michelle has even took the stage a few times. Michelle has many fond memories of all her shoes with St James and has thoroughly enjoyed working on Mary Poppins with many of her friends and her partner Warren. Gillian Harknett started her acting career in Cobourg, Ontario with the Victorian Operetta Society and Northumberland Players. After a brief break from the stage she returned in Peterborough with St. James Players, Showplace Players and the Peterborough Theatre Guild. Some of her roles include Johanna from Sweeney Todd and Rumpleteazer from Cats. Gillian would like to thank her family and friends for their continued support and encouragement. 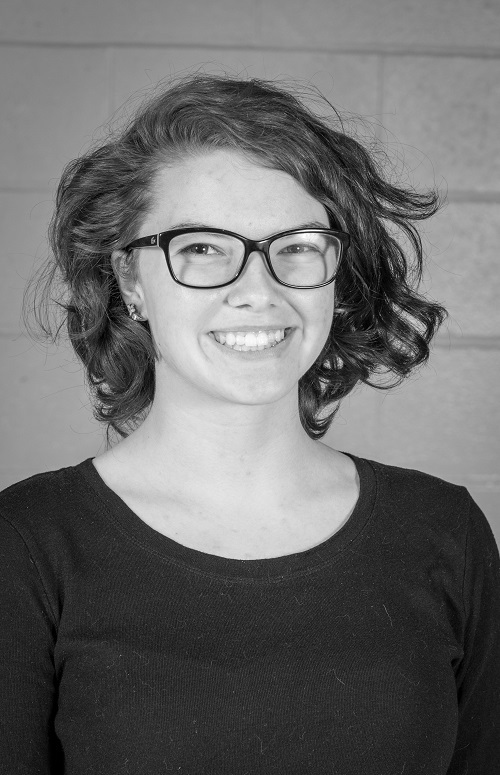 Macayla has been part of community theatre since the age of 8. She has enjoyed performing with The St James Player's & FunFolk Theatre in several roles over the past 3.5 years. Previous roles include Chorus – Pied Piper, Gretel Princess Whatsername, Lollypop Gang & Junior Chorus - Wizard of Oz & Julia - Lady Parates of Captain Bree & Mako in “TABITHA and the ALMOST IMPOSSIBLE QUEST”. Macayla has performed many times in her school talent shows, School Choir & receives incredible support from her School & peers. Macayla is beyond excited to take on this challenging role of Jane Banks in one our most beloved films of all time Mary Poppins. 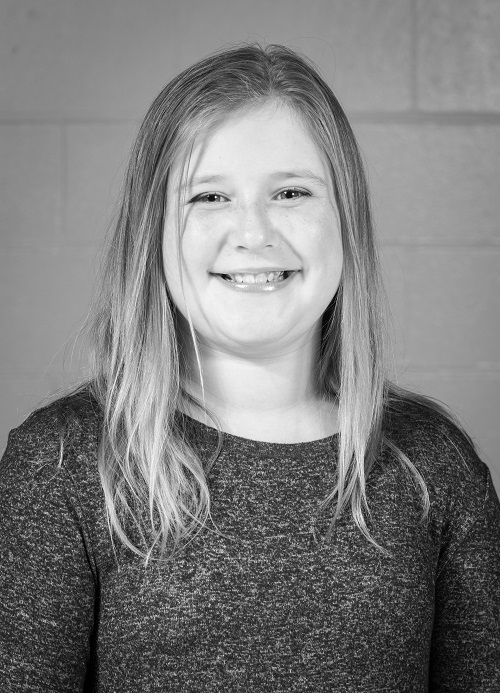 Macayla is on her way to becoming a seasoned actress & is so thankful for her family, friends, fellow cast & incredible Director, Stage Managers, Dance Instructor & all those who believed her and trusted she would do Jane justice at the young age of only 11. Ben is excited to play his first lead role as Michael Banks in Mary Poppins. 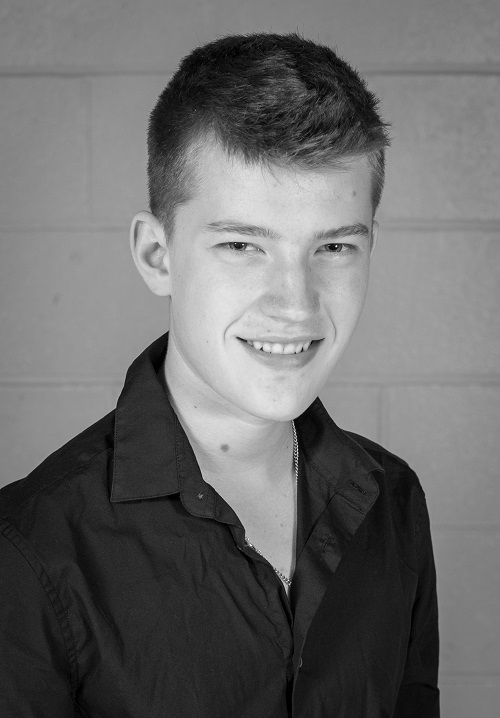 He has been a chorus member in several productions including The Peterborough Theatre Guild's "Oliver" and The St James Players "The Pied Piper". 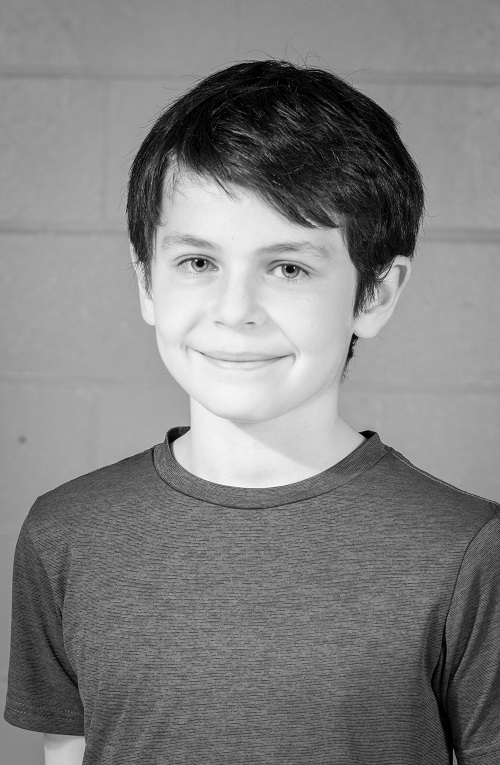 He has participated in summer drama camps at Market Hall and last year was a member of the Peterborough Theatre Guild's Young Theatre Company under the direction of Charles Shamus. Ben is a grade 7 student at Westmount Public school and when he isn't on stage enjoys fencing, karate, as well as playing the piano and trumpet. 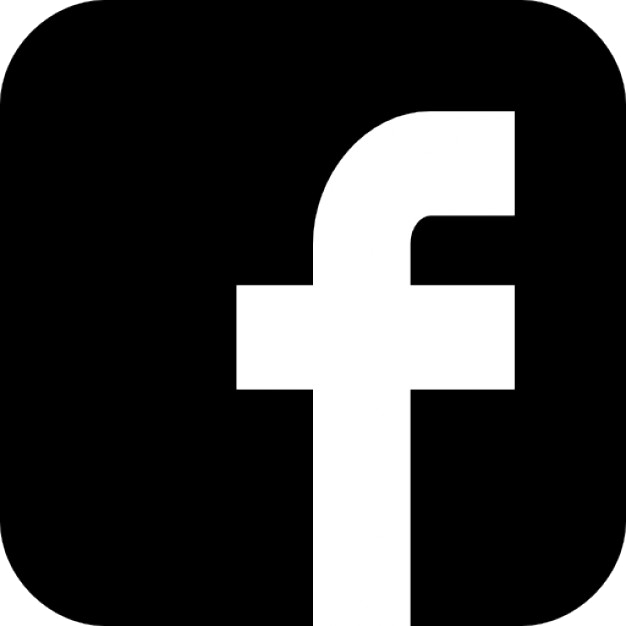 Warren has been performing in the Peterborough and surrounding area for over thirty years. After studying drama in school he decided musicals offered him more versatility and has made them his main focus for all of his theatrical career. Warren has had the privilege of playing such roles as Kenneth Gibson - Call me Madam, Lt. Cable - South Pacific, Lun Tha - The King & I (X2), Crazy old Maurice - Beauty and the Beast (Lindsay Academy Theatre)and many more. Warren also has three movie appearance to his credit and a page on the IMBD website. He is proud and excited to be playing the part of Bert in this years production of Mary Poppins. Keith is happy and grateful to be in his 4th St. James Players show! Having only moved to Peterborough in the summer of 2015, being welcomed into the SJP family has been a wonderful experience. Keith was the Wizard in last years Wizard of Oz. Early this year, Keith won his first EODL award for his performance in “A Life Before”. He lives with Glenn, Charlie and Sheena whose love and support sustain him! Enjoy the show!!! Christie is a relative newcomer to musical theatre. Her children's involvement inspired her to give it a try and she is especially pleased to be part of Mary Poppins with her son Ben, who plays Michael Banks. She was a chorus member in the Peterborough Theatre Guild's "Oliver" when her son, Jackson, played the role of Oliver. Last year she played Glinda in The St James Players "The Wizard of Oz". 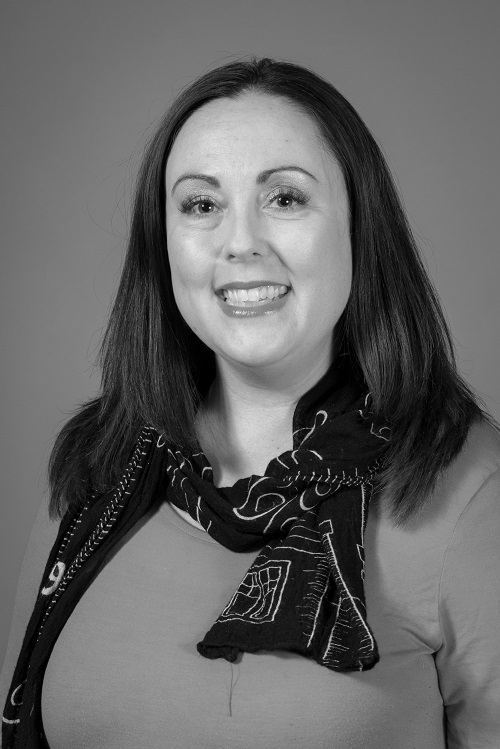 Christie is a physician in Peterborough and a long-time member of the Peterborough Singers. Jacquie started doing theatre as a teenager back in Birmingham England. When she moved to Canada with her two daughters in 1989, she immediately joined the Peterborough Theatre Guild to continue with her love of theatre. 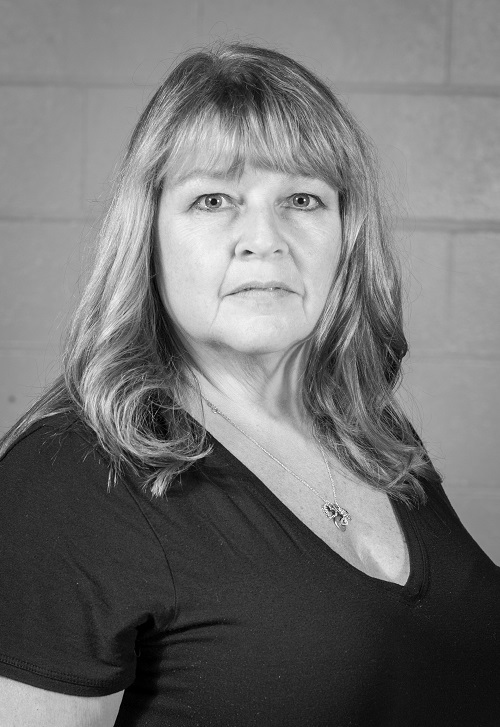 Jacquie has been in many productions with PTG, St James Player’s and Showplace Players. Most notably she received an EODL award for best Actress in “After Margarite”. Some of her favourite roles include Mrs. Joe in “PIP”, Jackie in “Expecting the Worst” and Carol in “A Life Before”. Jacquie has also stage managed, produced and directed over the years. When not on the stage, Jacquie enjoys spending her time with her granddaughters Lucy, Annie and Ari. Jacquie is so proud to be part of her daughters musical directorial debut and to share the stage with her granddaughter Lucy. We hope you enjoy our show, and on behalf of the company and myself, may I thank you for your support. 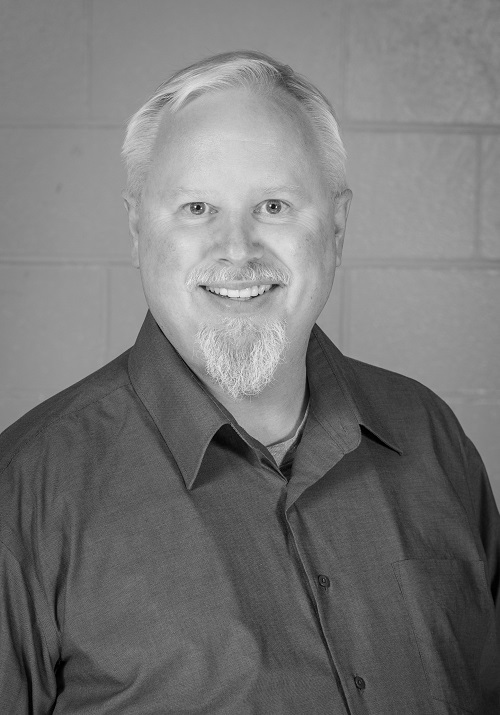 Robert has been involved in local community theatre for most of his life. Starting in the UK as an actor he continued his passion when he arrived in Canada in 1980. 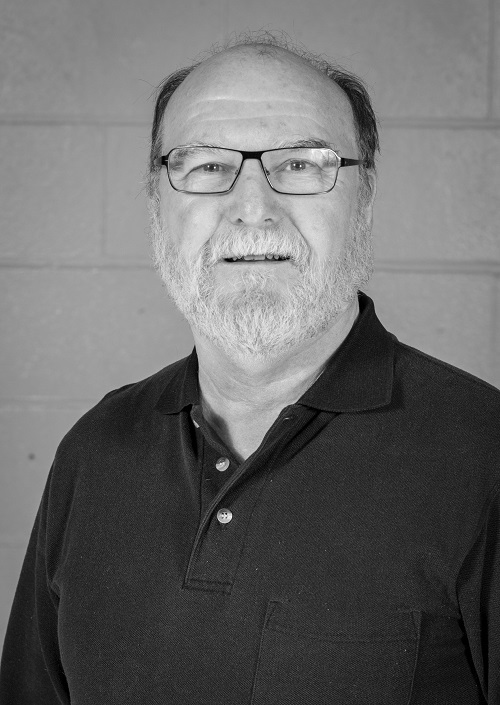 He has played many roles in productions at The Peterborough Theatre Guild including Fagin in OLIVER which ranks high on his favorite character roles. Robert first became involved with the St. James Players when he played Lutz in their production of THE STUDENT PRINCE. 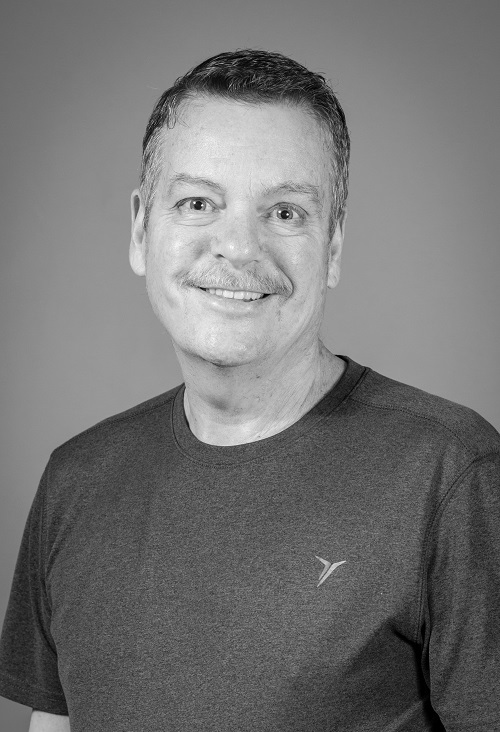 Since then he has directed many productions in the city including SLAINTE, OLIVER, and PLAZA SUITE in 1994 with which he won the award for Best production and Best Director in the one act festival. 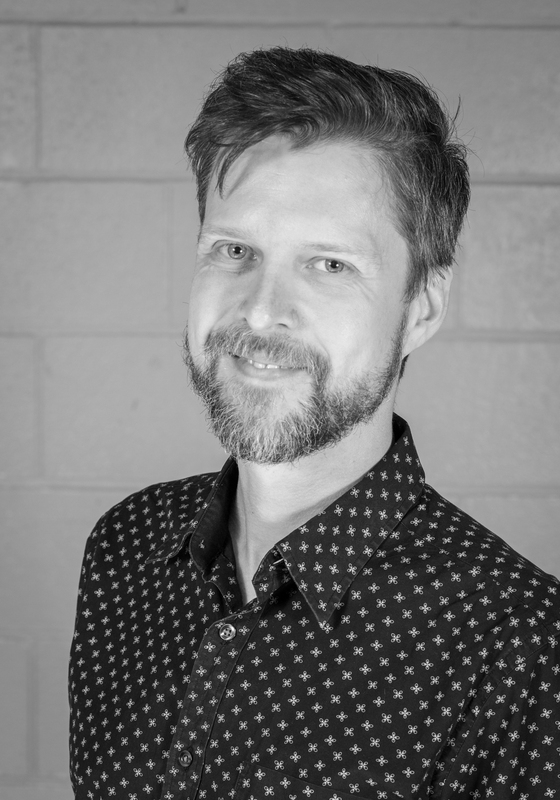 He has also won several awards for plays he has written including SLAINTE, FROZEN DREAMS, EXPECTING THE WORST, BE KIND, REWIND and THE MOUSE HOUSE which went on the win the 2012 Theatre Ontario Best production and Best Directing awards. Earlier this year he directed his new play A LIFE BEFORE which features some of the cast and crew of this production. He has thoroughly enjoyed appearing in the St. James production of MARY POPPINS which incidentally was directed by his very talented niece Natalie. Susie Cox - Miss Lark and adult ensemble. Susie’s introduction to the theatre community began with her children. All three were involved from young ages and as the saying goes: “If you can’t beat them, join them!” Susie took part in her first show 5 years ago with her daughter, as a chorus member in St. James’s Player's "White Christmas". Other roles included JennyAnyDots in Peterborough Theatre Guild’s production of "Cats", and Aunt Em in “The Wizard of Oz”. Susie is excited to be cast as a “crazy dog lady” – a part which she plays in life as well. She thanks her 2 dogs for letting her practice on them, as well as her family for having to listen to the Alto version of all those well-loved Mary Poppins songs. Enjoy the show! Lindsay has been involved in numerous St. James productions including “Chicago”, “Les Miserables”, and “The Wizard of Oz”. She was also in The Peterborough Theatre Guild’s productions of “Cats!” and “Oliver”. When she’s not doing musical theatre she can be found at The Theatre on King or on the ball diamond. Lindsay has loved working with the “Mary Poppins” cast and crew, and would like to thank the whole team for their support and enthusiasm. Madison is a 16 year old high school student who has been dancing since the age of three. She trains in ballet, lyrical, jazz, musical theatre, and her all time favourite tap. She has won various awards and scholarships throughout her years as a competitive dancer, including most potential junior dancer at shooting starts dance competition for her tap solo. In addition, she enjoys singing, wake surfing, and broadening her dance horizons while teaching tap at Revolutions Dance Studio. Madison is very excited to be making her theatre debut and is especially grateful for this opportunity. She would like to thank her friends and family for supporting her and for putting up with her constant singing and dancing around the house. Robert has played in bands since he was 14. He has composed music for film (An Insignificant Harvey, Long Pigs) and television (Party Poker Canadian Poker Championship.) Last year he played the Tinman in SJP’s production of The Wizard Of Oz and Nikki Sullivan in the PTG’s The Buddy Holly Story. He currently plays guitar for Heartless Romantics. After many years of living in Toronto, Robert and his family (partner Natalie and sons Barrett and Denver) are happy to call Peterborough home. Tim Jeffries is an actor, singer, dancer, director, producer and playwright. He has performed on both the professional and community theatre stage. 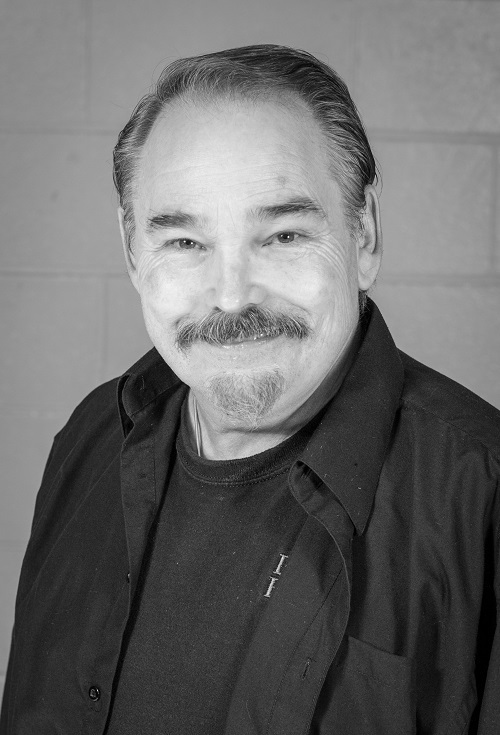 Some of his roles include Hero "A Funny Thing Happened...", Jim Farrell "Titanic", Skimbleshanks "Cats", andBambatbois "Les Miserables" He has been involved in over 50 productions in Peterborough and will be next seen in "The Musicals of Andrew Lloyd Webber in Concert" February 23 at Showplace. Rachel, who plays the role of the Bird Woman, is very proud to be a member of the cast of Mary Poppins. She has been involved in the Peterborough arts community since she was fourteen years old, pursuing her passion for singing. Rachel is a chorister in both the Peterborough Singers, and All Saints’ Anglican Church Choir. Previous shows include St. James Players spring productions, as well as musicals produced by St. Peter’s Secondary School. 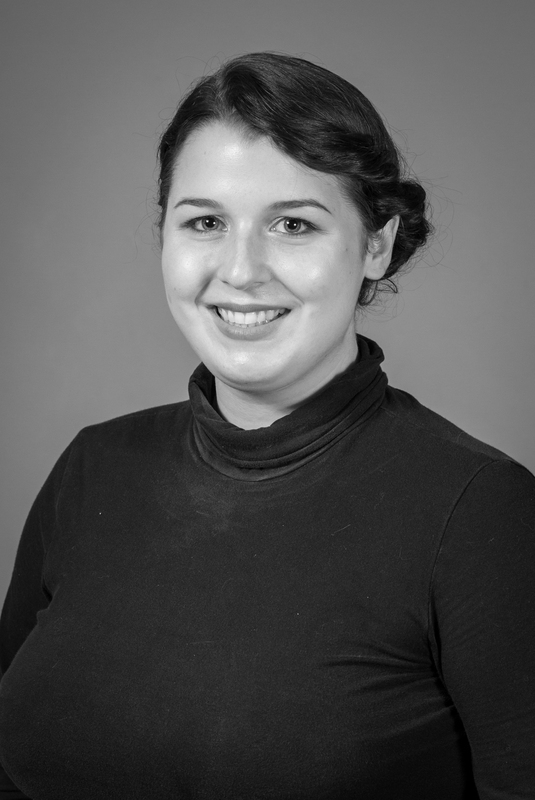 Rachel was born and raised in Peterborough, and currently studies History at Trent University. Rachel would like to thank the cast and crew for sharing their immense talent with our community! 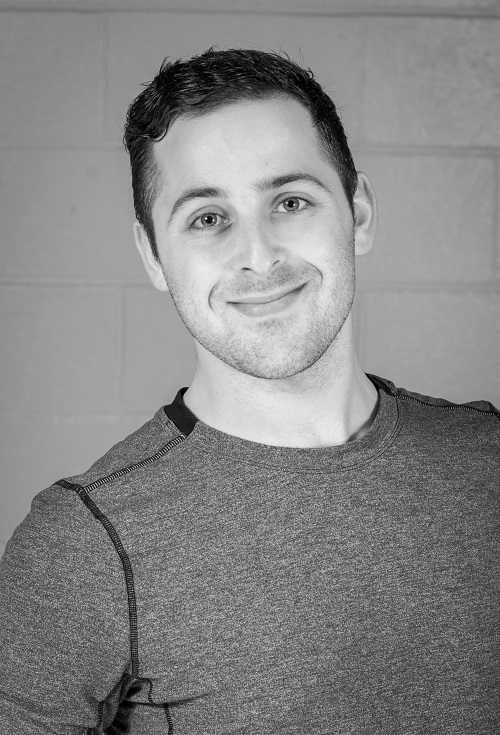 Nate has been involved in theater since he was 6, first appearing on stage in the Classics Drama Group at Trent University. He loves being involved in the theater and the community that it brings. He appreciates that a lot of hard work goes into making these shows possible, and appreciates the heck out of everyone who helps. He also enjoys long walks on the beach, butterflies, rainbows, ponies, and coffee. He hopes you enjoy the show. 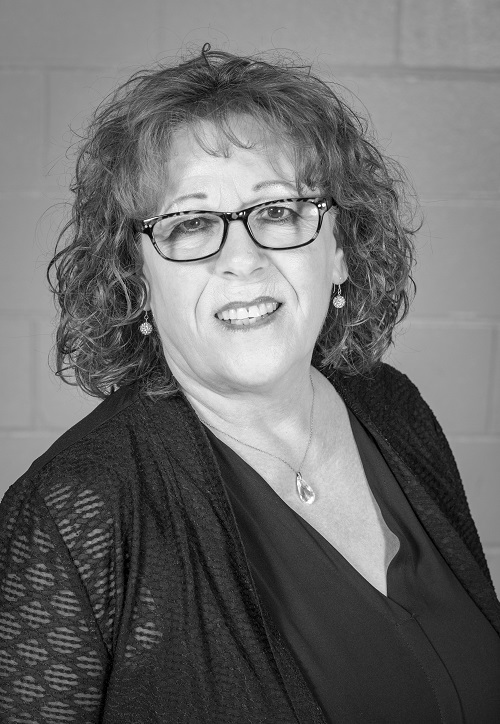 Rosemarie has always had a dramatic flair and began her early "stage-life" as an active participant in many TIMMINS community theater productions. When she moved to Kincardine years later, she soon became a favorite, where her most revered role was asthe Wicked Witch of the West! 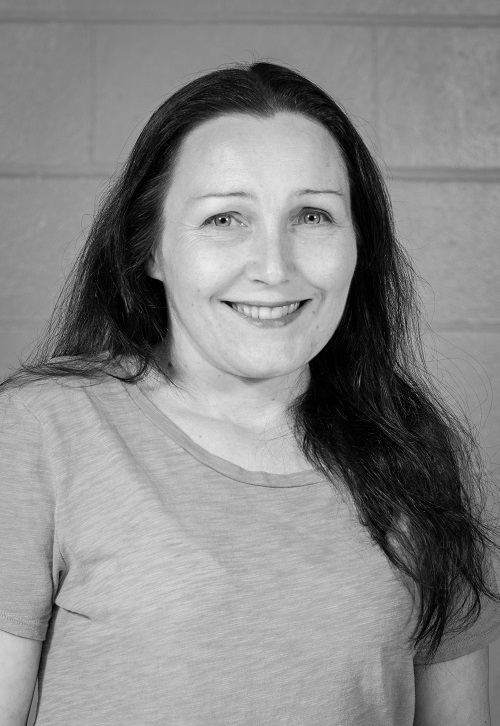 Since moving to Peterborough and joining St James Players, Rosemarie has brought to life such parts as The Evil Stepmother (Twinderella), Wicked Witch ( Wizard of Oz), and currently the Miserable Miss Andrew....all the fun, nasty parts! Rosemarie would love to thank all her friends for their encouagement and enthusiasm, her 4 fabulously talented and adventurous children, but especially her wonderfully supportive husband Steve , who always volunteers to build sets and work as stage crew in any productions in which she is cast! " we are all of us stars..and we deserve to twinkle"
Hugh has been involved in local Community Theater for almost 30 years. Mostly at the Peterborough Theatre Guild where he has performed in One Acts, Childrens plays , Comedies , Musicals and Dramas. His first time on stage as an adult was in the One Act play Suppressed Desires , directed by his future wife Faye. When cast he had told her that he had done theater in High School in Toronto. It was during the Adjudication at the Merrickville One Act EODL that he told her that he had neglected to say that it was mime. His first Musical was Oklahoma on the Guild's stage where they performed it 17 times. He is most proud of playing Norman in On Golden Pond and receiving an Ensemble acting award from the EODL in The Shock of Recognition. In the past few years most of his work has been in Musicals with the Saint James Players . Bells are Ringing, White Christmas and as The Mayor in Wizard of OZ. He treasures the enduring friendships that he has made in the local theater community. Bria Cahorn was born at home in Peterborough Ontario 9 years ago. Singing has been her passion since she was a very young child. Her musicality at home, church, childcare, and school is noticeable daily. She always enjoyed her years of dancing at Move N Groove with Julie and her team. This year Bria was looking for another creative challenge and was committed to auditioning for Mary Poppins. She is absolutely thrilled to be apart of such a fabulous production for her musical debut! 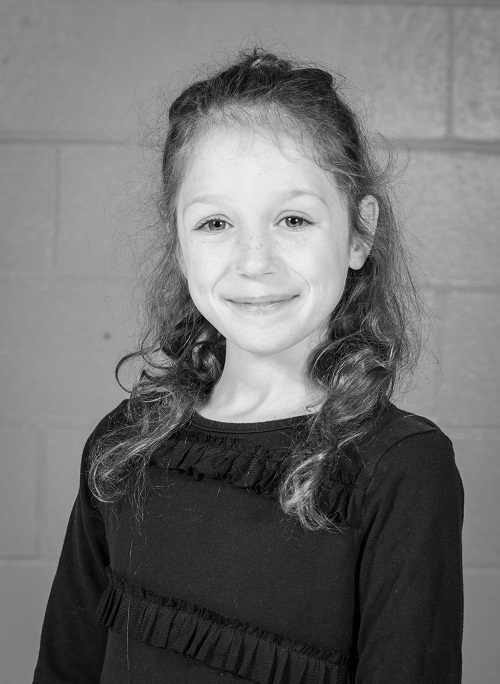 Hannah has been part of community theatre in Peterborough since her first role of Cindy-Lou Who in “Seussical the Musical” at the age of 5. 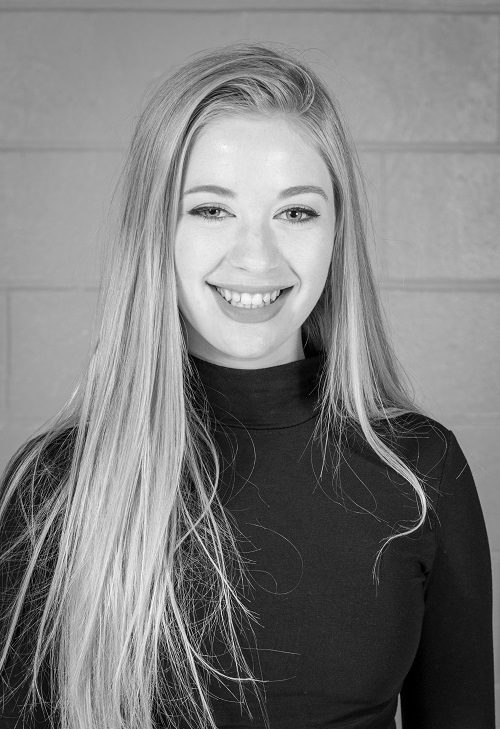 She has also played roles in several other musicals with Peterborough Theatre Guild, St. James Players and Cordwainer Productions including “Les Miserables,” “Oliver,” “White Christmas,” and “Dogfight.” Hannah is an Honours Journalism student at Trent University. She is also a member of the Peterborough Singers, as well as a member of her father’s church choir in Lakefield. 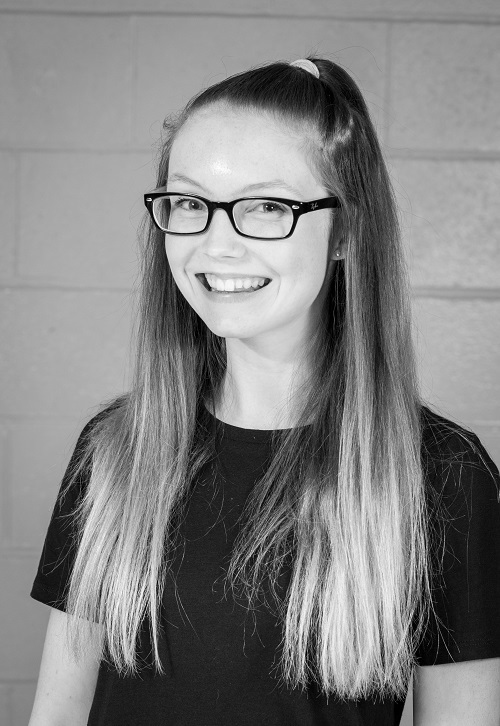 Hannah is delighted to play the role of Fanny and be a part of the adult chorus of “Mary Poppins” this season, under her friend, boss/colleague and director, Natalie Dorsett. After working with the crew of the production of A Life Before , Elaine wanted to get back on stage. When Elaine heard that St James Players were doing Mary Poppins she felt compelled to become a part of it. 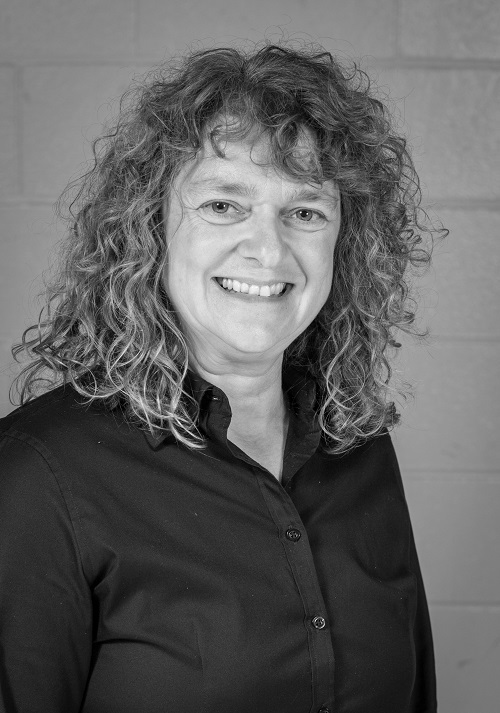 Elaine has many years of experience working with community choirs in the GTA ,including Metropolitan Community Church's Roy Thompson Hall performances. Elaine is a part of the Adult Ensemble and hopes it leads to many more productions in the future. Jenna has been involved in musical theatre since she was 9. 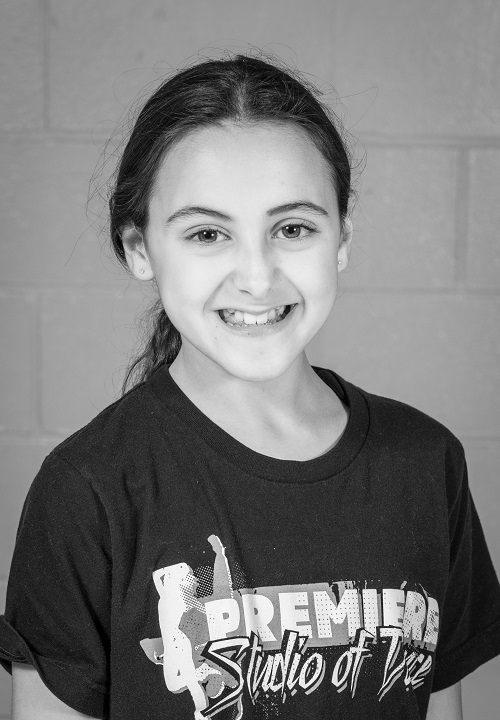 This is her first production with St. James Players and she’s having so much fun rehearsing; she is very happy to be a part of this wonderful cast and crew in Mary Poppins. This is Tonya’s second performance in live theater as an adult. In 2015 Tonya played Betty Jean in the 4 cast of “The Marvelous Wonderettes” with The Peterborough Theater Guild. Now, Fresh off the 24 Hour Project with Ray Henderson Tonya is very much excited to sink her teeth deeper into the theater life. Tonya has been entertaining The Peterborough downtown scene with her singing for more than 5 years. Performing with multiple bands over the year at local pubs and restaurants and street festivals. This is Tonya’s first time in a production of this size and she is loving every minute of it. Tonya would like to thank the Directing Team for giving her this chance and for all the cast and crew for helping her learn the ropes. Mairi has always loved to sing and dance! She has been on stage at the PTG, but this is her first big musical! Mairi has loved making new friends over the months of rehearsing and looks forward to being on stage with her new theatre family. After being behind the scenes for the past almost 4 years, doing make-up for St. James Players & Funfolk Theatre Synthia decided to try the stage for her favourite Film of all time Mary Poppins.Synthia has always had a passion for the arts & singing & is overjoyed to have been selected for Adult Chorus in this beloved Film/Production of Mary Poppins. Synthia loves being able to share the stage with not only her beautiful daughter Macayla, who plays Jane, but also all the incredible actors cast in this play. Synthia will forever be thankful for the friendships she has made, the amazing talent before her who inspire her to be better every rehearsal & for the support and guidance the Director, Stage Managers, Dance Instructor & all those involved have provided her over this past 6 months. 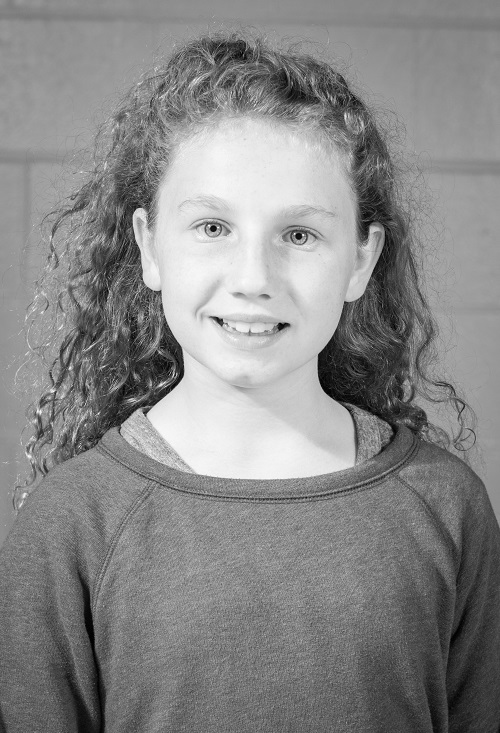 At only 8, Lucy is proud to be the youngest cast member of Mary Poppins, a show that is one of her favourite movies. This is Lucy’s 5th show in local theatre. 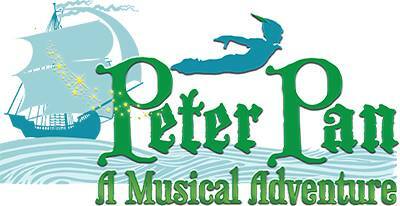 Previous shows include “Pied Piper” “Cinderella” and “Mastreo “. Lucy has been a competitive dancer with Revolutions dance studio for 5 years. She has won many overall titles in Jazz and Musical Theatre. Lucy has had the best time in Mary Poppins meeting so many new friends and learning so much about theatre. She hopes you enjoy this great show. Mary Poppins is Lilah’s first forage into the world of theatre and this world has captured her heart. 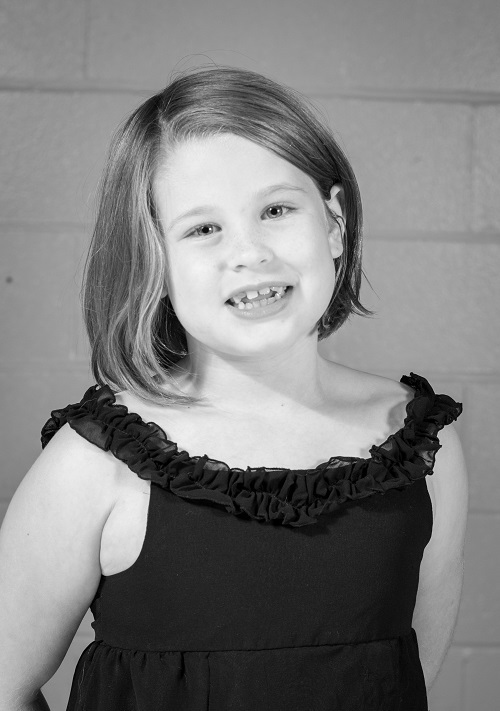 Previous to this theatrical adventure, Lilah had focused her time competing as a Math Olympian and as a dancer. 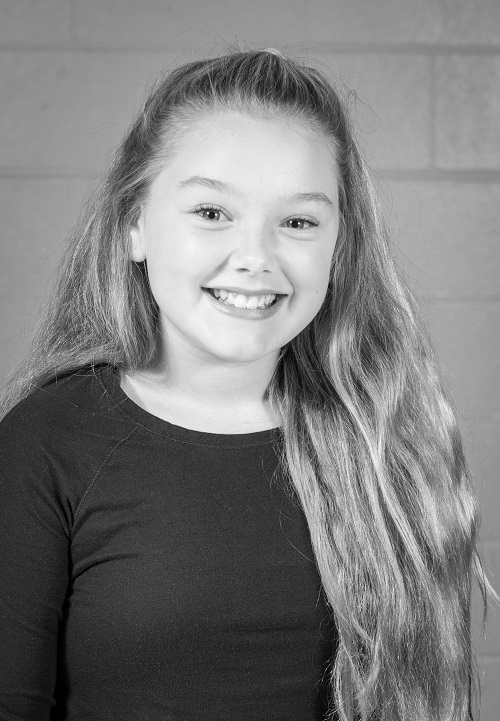 The experience of performing in the children’s choir for St James’ Production of Mary Poppins has opened Lilah’s eyes to a brand new world of opportunities. Specifically, she has valued the team approach and the unique personal growth that came from working with such a diverse group of supportive and encouraging adult, youth and child actors. 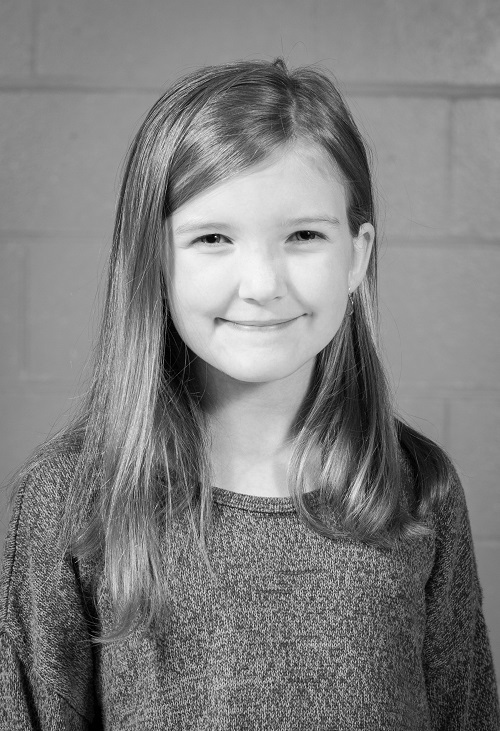 Lilah would like to thank each and every member of the cast and crew, especially those that noticed her potential at auditions and gave her this wonderful experience. She has thoroughly enjoyed every moment of it and has already begun to look for her next opportunity on a stage. Allie is thrilled to be taking part in her first theatre performance, and couldn’t be happier it is Mary Poppins, one of her favourite movies! Allie is a competitive dancer with Premiere Studio of Dance, where she has been dancing for six years doing tap, jazz,ballet, hip hop, musical theatre and lyrical. At only eight years old, she is now hooked on theatre, as she has loved every part of this amazing experience. Samuel has performed alongside his brother Caleb in several children’s choirs. Singing and riding the unicycle are hobbies that they share and enjoy doing together. Samuel has enjoyed the Mary Poppins production process—especially the choreography. He can’t stop singing the songs and practicing the dances at home! Special thanks to his loving family and hardworking director, cast, and crew. 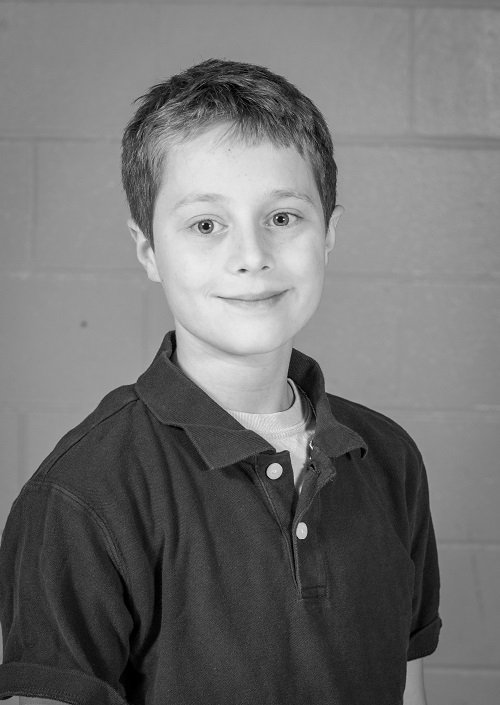 Caleb has performed with numerous children’s choirs and has been singing and riding the unicycle for several years. 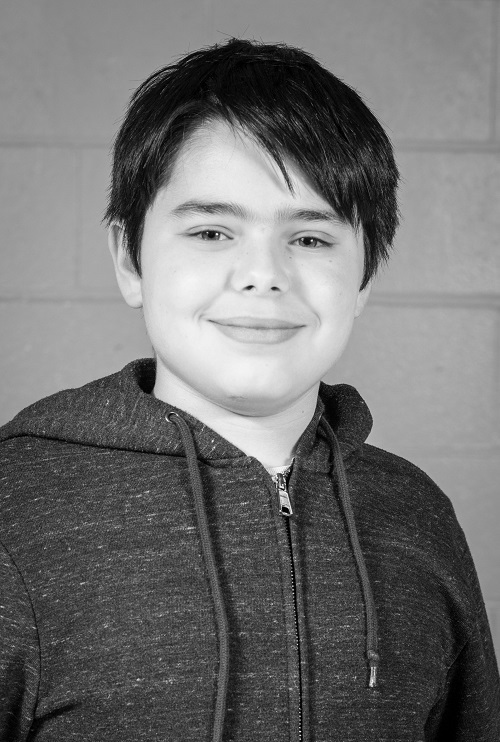 This is his first production with the St. James Players, and he is excited to be working with such a talented cast, hardworking crew, and dedicated director. He has enjoyed being part of Mary Poppins and watching it all come together, and would like to thank his family for their continual support. 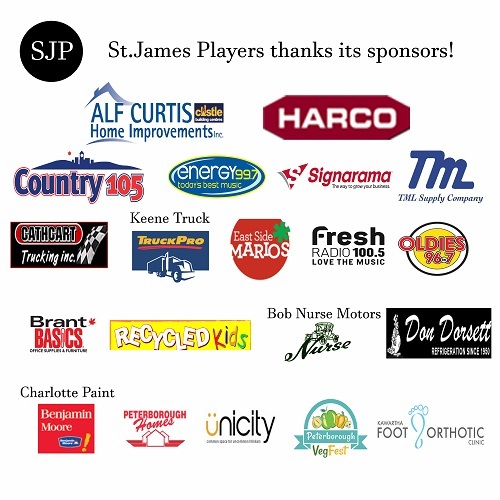 This is Erin’s first time performing with the St. James Player’s. She has been in several productions with the Anne Shirley Theatre company, including Bye Bye Birdie, Into the Woods, Pirates of Penzance, and Company. 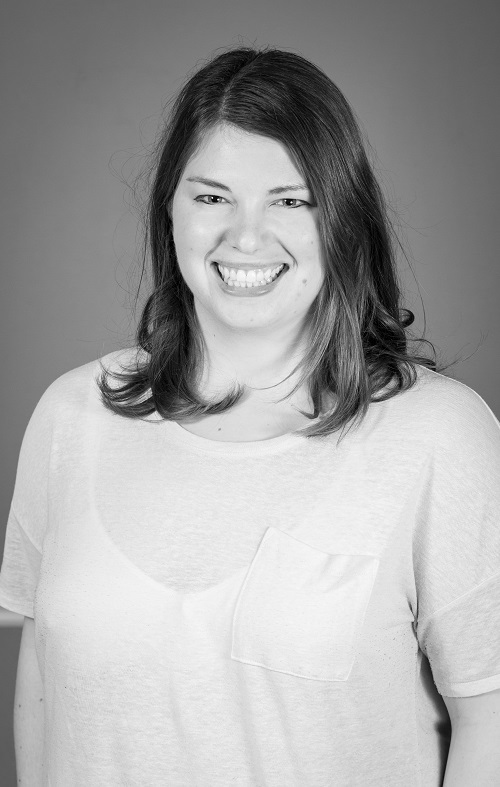 Erin has also performed in many choirs since childhood, including the Peterborough Children’s Chorus and currently the Peterborough Pop Ensemble. 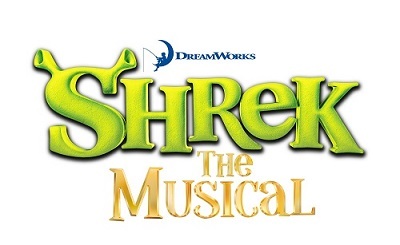 Erin is performing in the chorus and is so excited to be part of this amazing production. Elizabeth (Liz) has been performing in the Peterborough community since she was 9 years old. She was a longtime member of both the Peterborough Children’s Chorus and Peterborough Pop Ensemble, as well as various other choirs and bands. Liz also played Dorothy in a parody university production of the Wizard of Oz called the ‘Wizard of Gauze’. This is Liz’s first time performing with the St. James Player’s and is a member of the chorus. She is very excited to be performing alongside such talented performers! 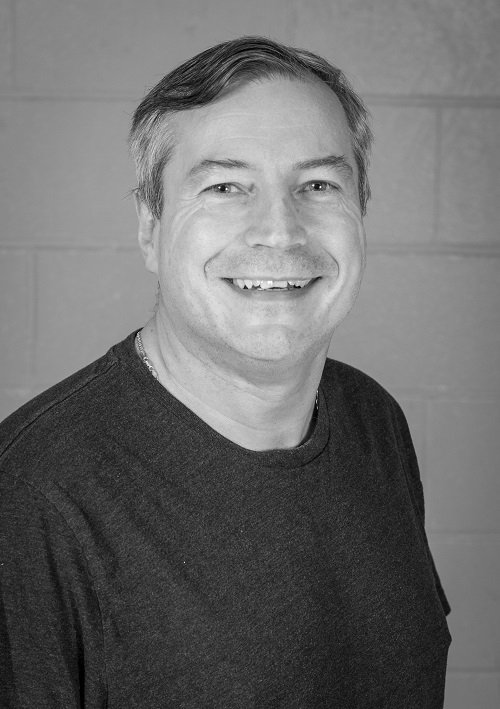 Andy has been working on community theatre shows for around 25 years, designing the Lighting and Sound for many of the shows that are put on at the Peterborough Theater Guild, as well as other venues. He is currently the technical director with the PTG. Andy has been recognized for his technical work but the EODL and Theatre Ontario. He would like to thank Tanya, Libby and Abbey for helping out and allowing him the time to get into the Theaters. Thank you for supporting local Theater and hope you enjoy the show. The first time Robyn had the opportunity to perform on stage was at the age of 12. Mary Poppins is the third show Robyn has been a part of, but plans to be in many more. Past shows Robyn has been in include; Guys and Dolls and the Wizard of Oz. After doing her first show, Robyn realized that she loves being a part of musicals, but also that she loves dance and has been a dancer ever since. Mary Poppins is the largest show Robyn has ever been in and can’t wait to see it all come together. Robyn is very excited for her friends and family to finally see the show! This year marks 20 years since Paige first appeared in a St. James Players production. Since then, she has been performing as much as possible! Her most recent appearance was as ‘Rosa’ in Peterborough Theatre Guild’s 2016 performance of Eclipsed. 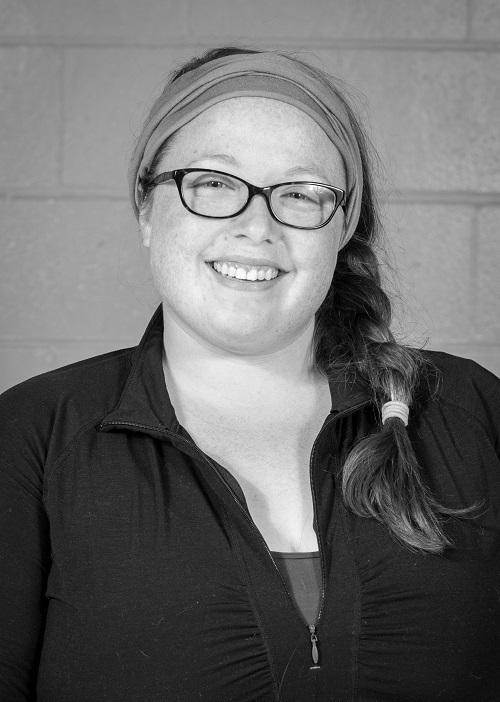 Outside of theatre, Paige enjoys being a co-pilot to husband James, event planning, and cooking. She is excited to put her step dancing shoes back on for Mary Poppins! Larry Smoot came to Peterborough in 2012 and was thrilled to find such an active local theatre community. Music has always been an integral part of his life. His first performance in Peterborough was in “Ain’t Misbehaven” at Showplace. He found it to be a very rewarding experience working with a cast of such talented and kind local people. He is planning on some local solo performances in 2018. Brooke is a triple threat! Singing, dancing and acting has kept this 12 year old busy since the age of 3. Wining many awards such as, Most Potential Dancer in 2016, 1st overall Musical Theater soloist, 2014/2015/2016. Won a National title with her PSD team for; “Letter to a Person on their First Day”. Dancing with Premiere Studio of Dance, competitive team for over 6 years, Brooke finally made her big debut in a signing roll with the Mary Poppins ensemble! Previous rolls include, Little Guinevere, in “Camelot” and Charlie in “Oliver”. Brooke loves working with Natalie, Melissa and team, and can’t wait for the next show! Brooke would like to thank her dance teachers, Miss Sarah, Miss Meghan, Miss Meggie and Miss Robyn, and of course to her family for all the encouragement and love they provide. 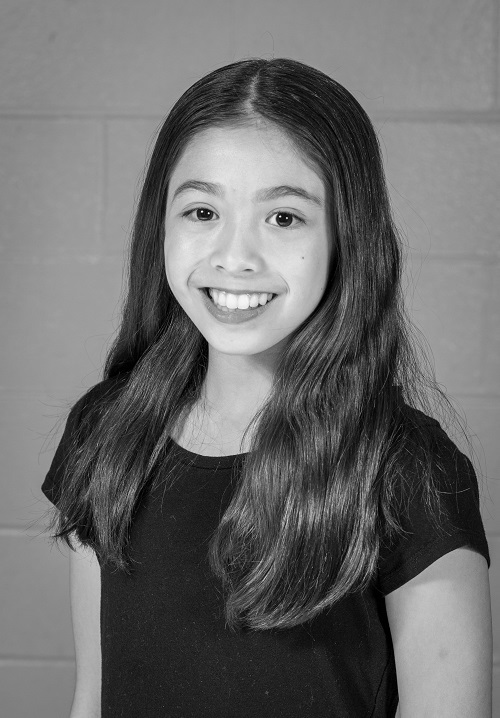 Sierra Bengson is proud to be performing in Mary Poppins as part of the chorus. This is her seventh show with St. James Players. 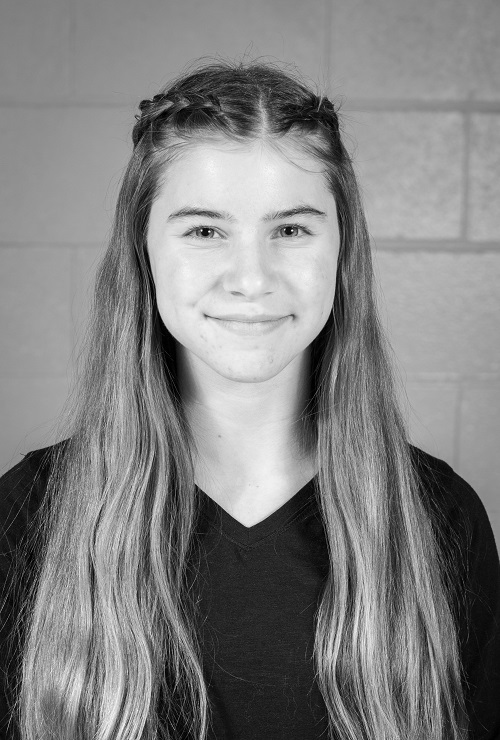 Past productions include “Wizard of Oz” and “Pied Piper” Sierra loves learning all the new dance moves and has loved getting to be thrown up during the basket toss. She attends St. Teresa elementary school. Enjoy the show. Lexi is extremely excited to join the cast of Mary Poppins in her debut musical theatre performance. 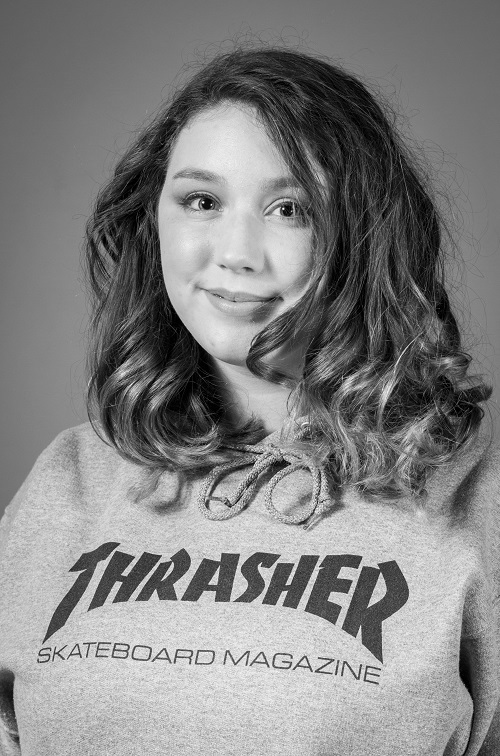 Lexi lives in Peterborough with her family and is currently enrolled in the Integrated Arts Programme at Thomas A Stewart.Her love of singing and dancing is unmistakable. Lexi began dancing as a ballerina at age 3. She is also an accomplished guitarist, having performed at such local venues as The Garnet and Chemong Lodge. This spring, Lexi will attend several Broadway workshops in New York City. 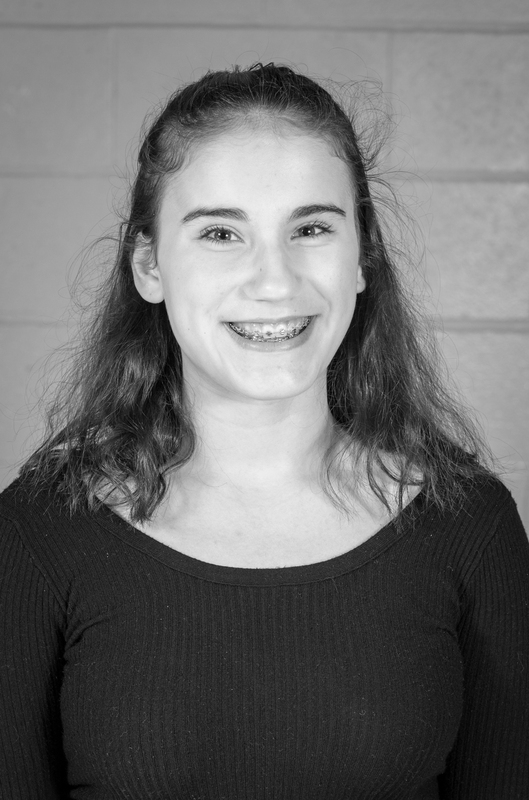 She hopes that this experience will provide a deeper understanding of the world of musical theatre and fuel her passion for acting on the stage. She has positively enjoyed working with the cast and crew of Mary Poppins and now truly appreciates the time and effort that are put into a show of this size. Lexi's favourite musicals are Falsettos, The Book of Mormon, and Heathers.